A beautiful example of one of the all-time great dials today, courtesy of the Keystone. The Blue Monte Carlo variation is amongst the most representative of the chronograph’s character (outside exotic dials). Considering Tudor as Rolex’s wild side, one may as well have the louder aesthetic. The 40mm Oyster case houses a highly-solid Valjoux 7750. Let’s not be snobs, it’s a great movement. I am somewhat baffled by the patina on this example. The strongest adjective is unique. I’m not sure how sub-dials only lose the color around the edges, but I don’t mind it. The summery orange tones of the matte dial are offset beautifully by the cool bezel and sub-dial tones here. Slightly rare than its black counterparts and certain to age well, the Monte Carlo 9420 is a safe bet for investment. 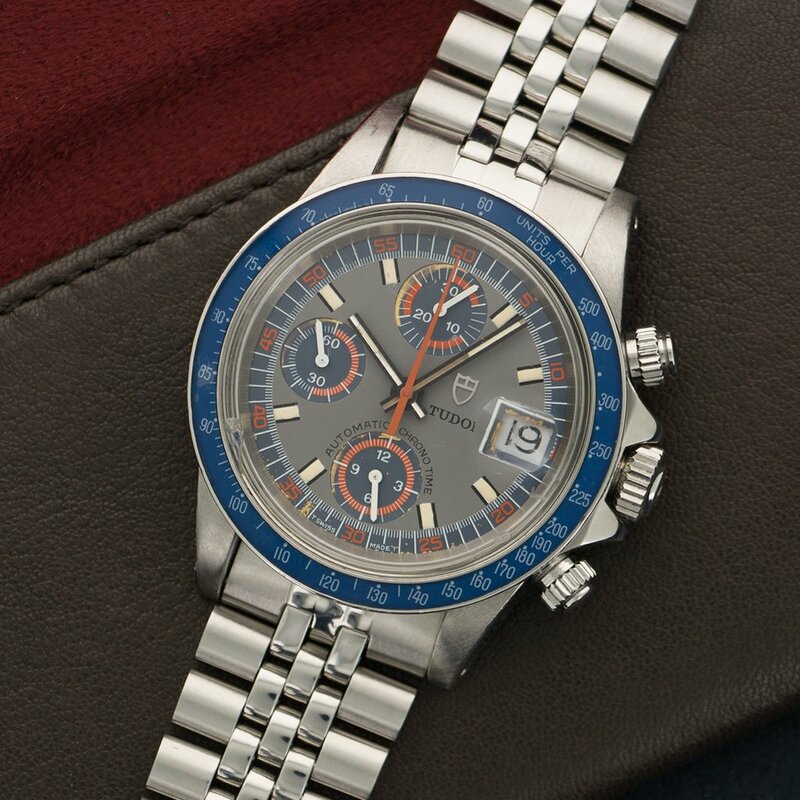 If you’re interested in chronographs outside the standard selection, this a fantastic start. Find this one here for 12500 USD.